Creating a general right of access to documents held by those agencies, subject to the sensitivities of the document. Providing a means for individuals to apply to see their own records and ensure personal information held is accurate, complete, up to date and not misleading. Requiring certain documents concerning government operations are made available to the public. As the primary law enforcement agency in the state, the WA Police Force has a variety of documents and records. 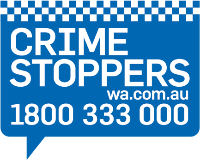 Some of these have been created for, or have specific application to, various functional units within the WA Police Force. This includes documents created as a result of an incident requiring police attendance, and some are created for research or statistical purposes. Only documents held by the WA Police Force which are unable to be obtained by another means are able to be applied for. The FOI Act contains exemptions and limitations which can preclude or restrict the release of some documents, or restrict the release of certain details contained within some documents. Should you require access to documents held by the WA Police Force and you are unable to obtain these by any other means, you can make application under the FOI Act. Within your application, you should include as much information as possible as this will assist with locating all relevant documentation. Through Police Direct. This requires a credit card to pay for any fees, if applicable. Application fee of $30 (if applicable). Where an FOI application requests information that may contain details about a third party (other than the applicant), there is a $30 application fee. This payment is required at the time of lodging the request. If lodging in person, this fee may be in cash, cheque or money order. If you are mailing your application, please include a cheque / money order made payable to the Commissioner of Police. Please note, electronic money order vouchers cannot be accepted and will be returned. An application without the prescribed fee of $30 included will be considered as invalid and the application will not proceed until full payment is received. Proof of identity is also required before any application can be processed. The majority of applicants provide a copy of their driver's licence or passport for this purpose. If unsure about this requirement, please contact the Western Australia Police Force Information Release Centre on (08) 6229 5900 or via email. Where FOI processing fees are likely to exceed $30.00, FOI Staff will provide an 'Estimate of Costs'. This Estimate contains details of additional charges that may be applicable to your application and also provides you with the opportunity to reduce any applicable charges by reducing the number of documents requested. This Notice may also include advice on any further charges that have been incurred related to your application. The FOI Act provides a 45 day timeframe from the date a valid application has been received however this timeframe may be extended by agreement with the agency and the applicant. Documents may be difficult to locate for many reasons resulting in applications having to be extended. Reasons can include difficulty in locating persons involved in incidents, the time since the incident and the amount of documents involved. In such instances, FOI staff may contact you to discuss an extension. The FOI Act contains exemptions to certain information meaning that this information is unable to be obtained through an FOI application. For example, exemptions may be applied to protect the privacy of other individuals and/or sensitive law enforcement, public safety and property security activities. In addition, exemptions also apply to documents originating from a Commonwealth intelligence or security agency. If an applicant is dissatisfied with a decision that has been made, an application for an Internal Review of the decision may be made. An Internal Review should be lodged in writing to the WA Police Force within 30 days after the Notice of Decision is received. An independent officer of Inspector rank or above will undertake the internal review and review the original decision. The Internal Review process will be complete within 15 days of the Internal Review request being received. Should an applicant be dissatisfied with the Internal Review, application may be made with the Office of the Information Commissioner. This request must be lodged within 60 days of the Notice of Decision being given. All details relating to Internal and External Review processes are provided within the original Notice of Decision document. The FOI Act provides the public with the right to apply to amend their personal information contained within WA Police Force documentation if the information is inaccurate, incomplete, out of date or misleading. Be lodged at an office of the agency. In two or more of those ways. The Information Commissioner is an independent officer who reports directly to Parliament. The main function of the Office of the Information Commissioner is to deal with complaints about decisions made by agencies in respect of access applications and applications for the amendment of personal information. Recommending to Parliament legislative or administrative changes that could be made to help the objectives of the FOI Act be achieved. The J S Battye Library of West Australian History came into being on 14 December 1956. The current version of the Freedom of Information Act 1992 hosted on the State Law Publisher. Products available for the public to access information held by the WA Police Force including abridged crash and Incident Reports and documents outside FOI.